This module adds the optional or obligatory fields of CPF, CNPJ, IE and RG in the registration form of your online store. 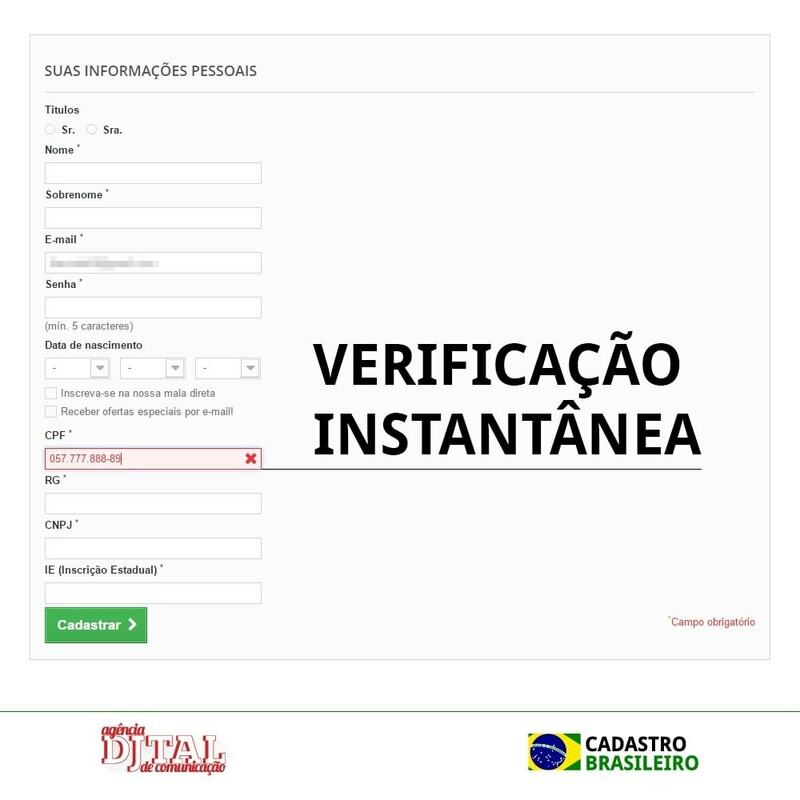 It also searches and fills the client’s address with the CEP number and has a mask for the Brazilian phone number pattern. The storeowner has total control over the requested information in the registration form. 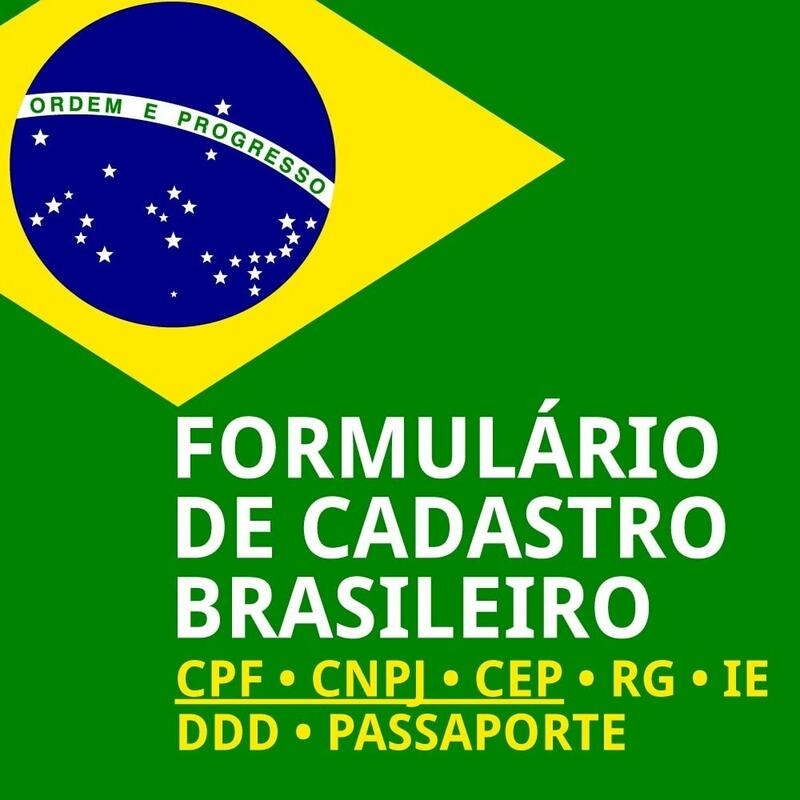 CPF and CNPJ can be configured as obligatory fields. The module will verify if the informed CPF or the CNPJ are correct. 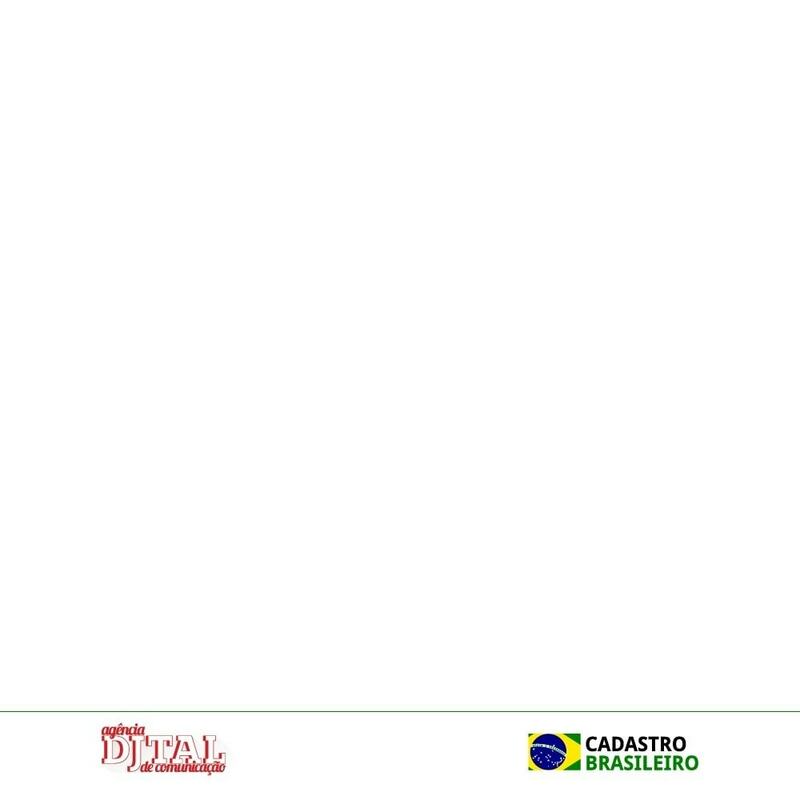 This information should be trustworthy for the issue of the Brazilian Nota Fiscal. 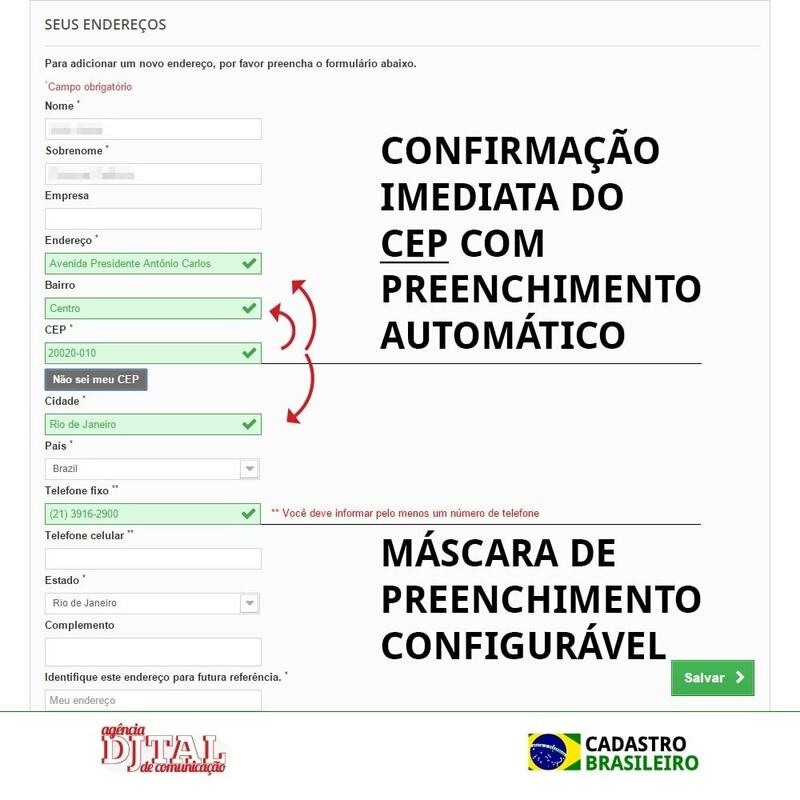 The CEP can be used to obtain the client’s address. 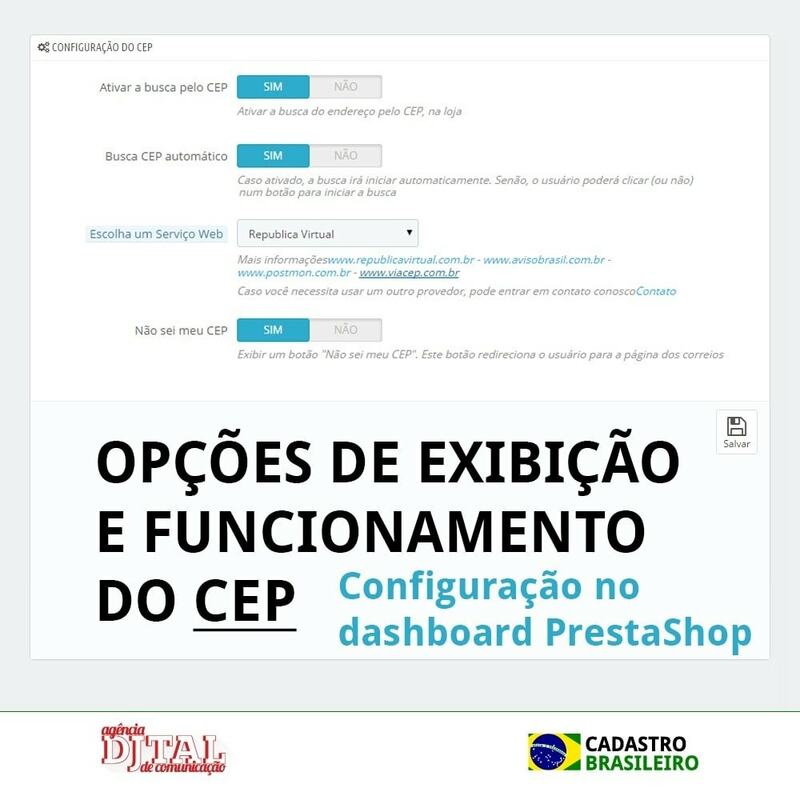 For clients that don’t know their CEP there is an option for the storeowner to display a “I don’t know my CEP” button. This will redirect the customer to Correios website to get help. The CPF and/or CNPJ information might be set as mandatory or not. The search and fill of address field through CEP number speeds up the client registration process. 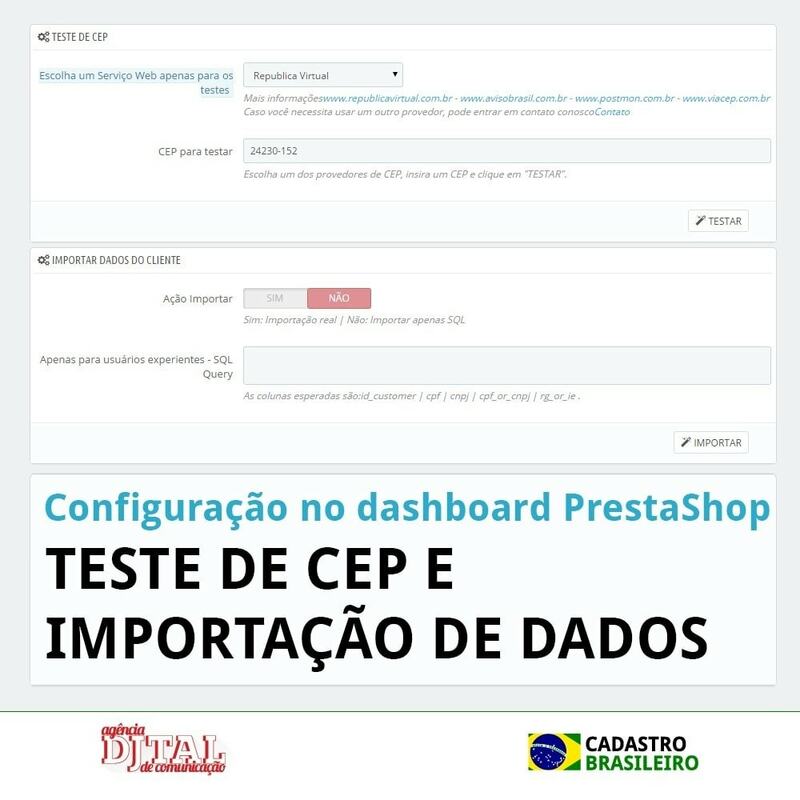 In addition, the existence of the fields CPF and CNPJ shows the Brazilian client that the store in wich they are about to register is a serious and trustworthy institution.